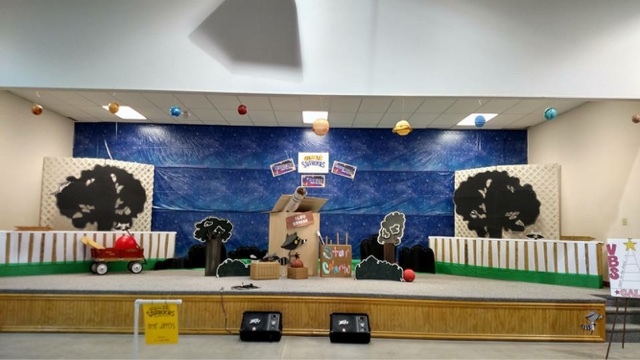 Each year for VBS, I think... "THIS is my favorite theme so far!" but, this year may actually have been my favorite. haha. I LOVE space! 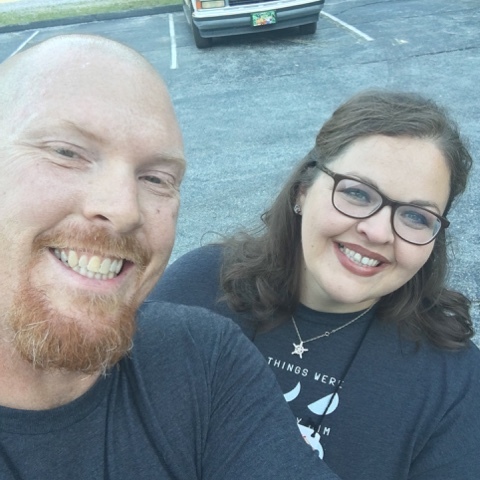 So when we found out that our theme was "Galactic Starveyors" I was giddy! Shannon and I were the teachers of the youth group. 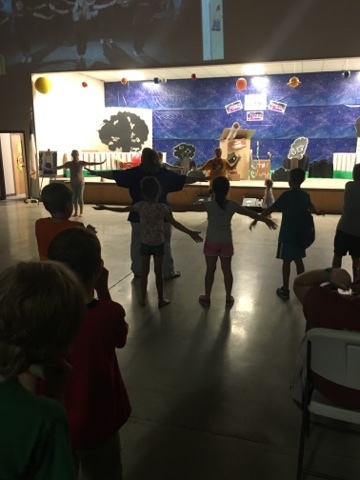 This year we had VBS for kids, teens, and adults! It was a neat idea! We had some great lessons. Some fun games. And some catchy music! One night we had "water night" for game time. 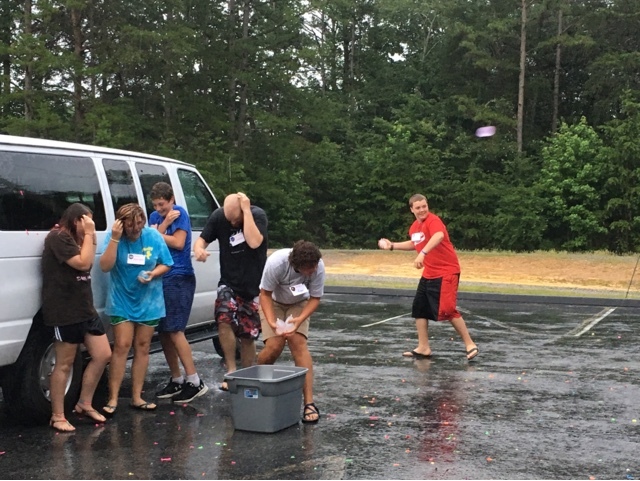 Water balloon fights are always fun! And it was raining, so everyone got soaked. It was a blast! 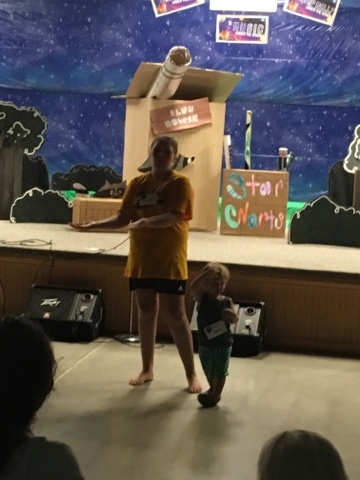 Our Carlie Jean has joined a drama team at our church and she and a couple of other young ladies were the ones teaching the motions of the songs to the rest of us. I cried pretty much each night (only a little)... I'm so thankful for my kids. My Mom and Alan have 18 grand babies and 2 great grands... In this picture their newest little grand baby had not been born. 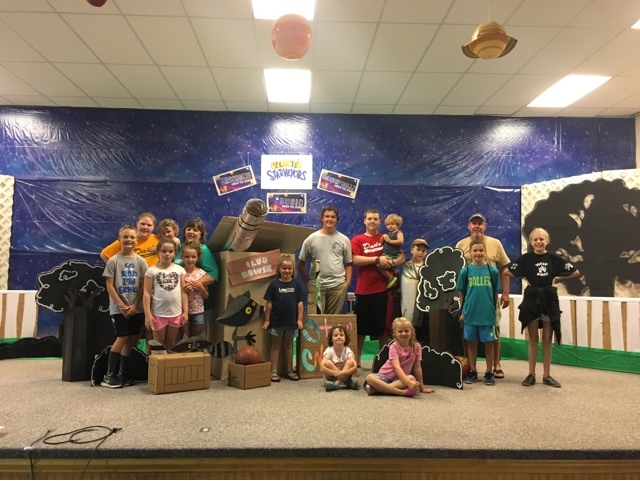 But they were both so excited to have 14 of the 18 at VBS with them this year. I hope I'm covered up with grand babies one day too! So precious. I know this is almost a month overdue, but life has been very busy lately. I'm thankful for all the blessings God has given to us and I want to make sure I post so I can look back and remember each one.